A divided nation produced an astonishingly divided result in the presidential election on Nov. 8. While Donald Trump, the billionaire business magnate, captured enough Electoral College votes to secure the presidency, former Secretary of State Hillary Clinton earned more popular votes. Currently, she stands over two million votes ahead of the president-elect. This occurrence illustrates a divide between urban and rural America, which received little focus leading up to the general election. The Electoral College, as defined by the National Archives, was established by the founding fathers “as a compromise between election of the President by a vote in Congress and election of the president by a popular vote of qualified citizens.” If the President were elected by Congress, small states would have little say in the matter, as those states with the largest congressional delegations would control the vote. On the other hand, the founders were skeptical of a national popular vote selecting the president. The Electoral College attempts to rectify both issues, as citizens vote directly for electors apportioned based on congressional representation, thereby indirectly voting for president. This system gives small and rural states disproportionate power. A state like North Dakota, with a 2010 census population of 672,591, has 3 electoral votes compared to my home congressional district on Long Island, NY-4, which has approximately 716,000 residents. With a total of almost twenty million residents, the 29 electors from New York State hold proportionally less power than those from small and rural states. My indirect vote for president has much less power in the Electoral College than it would if I were a resident of North Dakota. The reason for current discontent with the Electoral College is because Secretary Clinton won the popular vote decisively. Granted, neither candidate received a majority of popular votes. Secretary Clinton secured the plurality with 48 percent of the vote. It appears unfair that a popular vote winner could still lose the election. The defeat of Hillary Clinton was certainly a jolt to millions, and certainly to the media. Her loss highlights an interesting – and seemingly undemocratic – part of our electoral system. This is not the first time that this has happened, and change to the system will prove to be an uphill battle if undertaken. Discrepancies between the Electoral College and popular vote winners are rare. The election of 1824 was decided in the House of Representatives, when neither John Quincy Adams nor Andrew Jackson received a majority of Electoral College votes. While Jackson won the popular vote, the House elected Adams. In 1876, Samuel Tilden won the popular vote by 250,000 over Rutherford B. Hayes, who received a single electoral vote more than Tilden. Benjamin Harrison lost the popular vote in 1888 by 90,000 votes to President Grover Cleveland, but still managed to defeat the incumbent in the Electoral College. More recently, Vice President Al Gore was at the doorstep of the presidency in 2000 and was still defeated. Ultimately, 537 voters in the state of Florida decided the election, which was riddled with discrepancies and voter irregularities. The Electoral College votes in Florida pushed Texas Governor George W. Bush over the required 270 to a total of 271, despite losing by a total of 540,000 popular votes. In terms of the Electoral College, it could be argued that Tilden and Gore were the closest to the presidency. Hillary Clinton will attain the highest popular vote margin of victory while still being defeated. She will not, however, attain a thin enough Electoral College margin to be categorized with Tilden and Gore. With the vote in Michigan recently certified, Clinton holds a total of 232 electoral votes, compared to Trump’s 306 electoral votes. A benefit of the Electoral College is that the winner receives a majority of Electoral votes. In other words, the winning candidate will receive more than fifty percent of the Electoral College votes. The candidate must receive at least 270 to win. This differs from a plurality, in which no candidate exceeds fifty percent, but has more total votes than their opponent. In our current case, Donald Trump has 56.8 percent of the Electoral College votes to 43.2 percent for Hillary Clinton. Few, if any, credible political pundits were able to predict the large discrepancy between the 2016 electoral and popular votes. This provides the president-elect a larger referendum to govern. If the election were decided based on popular vote alone, neither Trump nor Clinton would have had a majority of popular votes. In this way, the Electoral College does provide a sense of credibility for the winner in the face of a thin popular vote margin. It was only fitting that a polarizing and divisive election cycle would end in a similar fashion. 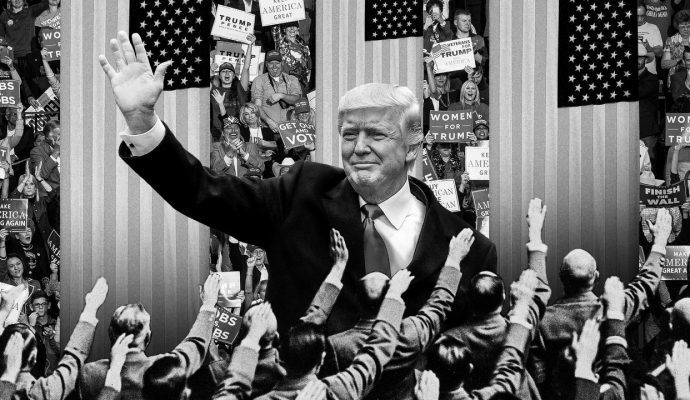 The election of Donald Trump in an apparent unfair way contradicts all his campaign rhetoric, which classified this election as “rigged” against him. These claims ceased on the evening of Nov. 8 from the Trump team. Rather, many of those in support of Secretary Clinton have taken up that banner. A 2019 ballot referendum in California calling for Independence, termed #Calexit, lists “elections and government” as a reason to secede. The referendum claims “California’s electoral votes haven’t affected a presidential election since 1876.” This is certainly the case in 2016, when California voters overwhelmingly selected Hillary Clinton by a margin of 61.2 percent for Clinton and 32 percent for Trump. This highlights the distain of the Electoral College to those in urban areas. In the aftermath of the 2016 election, there have been calls to reexamine the Electoral College in regards to its fairness and relevance in the American political system. Is it fair that a candidate with millions more popular votes still lost the election? Is a system designed more than two centuries ago relevant in modern campaigns? If the Electoral College were to be abolished in favor of the popular vote, urban populations would have disproportionate power. Donald Trump tweeted on Nov. 15 that “if the election were based on total popular vote, I would have campaigned in N.Y. Florida and California and won even bigger and more easily.” The first part of this statement has merit. A total popular vote election would focus solely on those states with the highest populations. Californians may not have voted for Trump simply because he did not campaign there at all. On the other hand, Clinton might have focused more on Texas, in this hypothetical system. 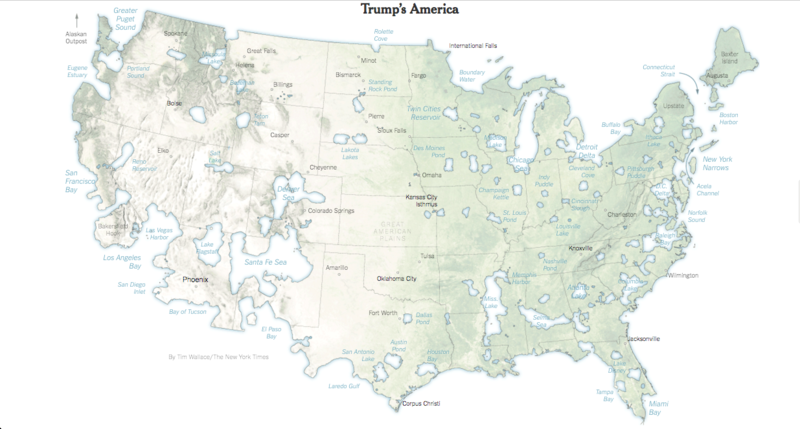 A New York Times piece includes maps of Clinton’s and Trump’s Americas. Clinton’s America is a bunch of small, island cities. This is representative of the fact that Clinton won 60 percent of the urban vote, according to CNN exit polling. On the other hand, Trump’s America is a general outline of the entire nation with numerous lakes, positioned where urban centers would be, due to the fact that he won 61 percent of the rural vote. Popular vote elections would also fragment and polarize the electorate to a higher degree. The Electoral College ensures someone will win a majority in that process, contingent on a two-party system. The margin could be as low as one electoral vote, like in 1876, or by five hundred and twelve, as was the case in Ronald Reagan’s landslide victory over Walter Mondale in 1984. Without the Electoral College, voters would see a rise in third-party candidates, to a point where there could be fifth party candidates at the least. Many voters were hesitant to vote for Libertarian Gary Johnson or the Green Party’s Jill Stein, fully knowing they would receive zero electoral votes, thereby throwing their votes away, in a sense. If popular votes alone decided the winner, it would be possible to have a president with a plurality vote total much less than 50 percent – perhaps even as low as twenty or thirty percent. That president would have no referendum to govern. As a nation, building consensus and finding common ground are keys to overcoming the division that is clearly present. 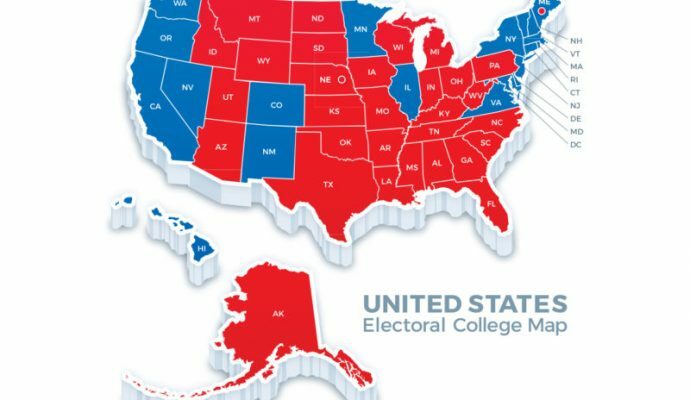 There could be potential reform to the Electoral College that might help. Most states, apart from Maine and Nebraska, employ a winner-take-all allocation of Electoral College votes. Perhaps more states should adopt the system of Maine and Nebraska, in which two electoral votes are cast for the state popular vote winner, and one electoral vote goes to the winner of each congressional district within that state. Nebraska’s 2nd Congressional district, which includes the city of Omaha and its suburbs, voted for Barack Obama in 2008. Therefore, four electoral votes from Nebraska went to John McCain and one went to Barack Obama. In theory, this system on a nationwide scale could also open the door for no candidate to receive a majority of the Electoral College vote, in which the House of Representatives is then constitutionally required to elect the president. This avenue is even more undemocratic. This option also opens the possibility for increased gerrymandering along demographic lines, which could divide communities based on political affiliation. There are laws in several states that would require the Electoral College votes of that state to be placed for the winner of the national popular vote. For this option to work, combined states totaling more than 270 Electoral College votes need to be on board with this proposal, in order to ensure a winner. Currently, that is not the case. This is also not an appealing option, as some states would totally disregard the will of their own voters. 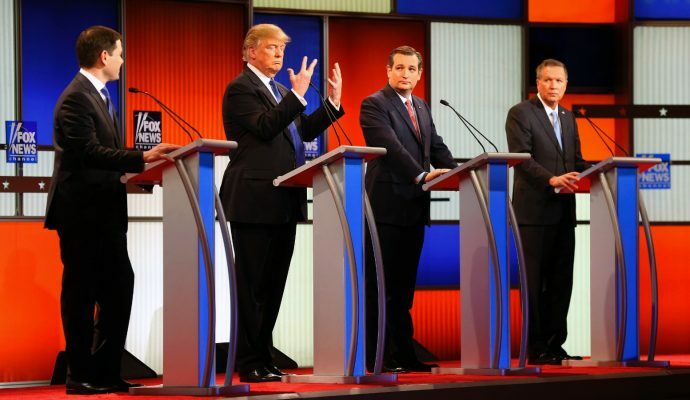 There is enough division on the national political scene. Should there be more division on the local level, too? In totality, reforming the Electoral College system is not popular and may just be an immediate reaction to the aftermath of the 2016 election. With current political divisions, it is highly unlikely that Constitutional amendment would be passed or that state legislatures would enact change on their own in this climate. The Electoral College is here to stay. The nation should find solace in the historical fact that discrepancy between the Electoral College and the national popular vote is rare. It is just a bizarre coincidence that this historical outcome would elect the 45th president of the United States.